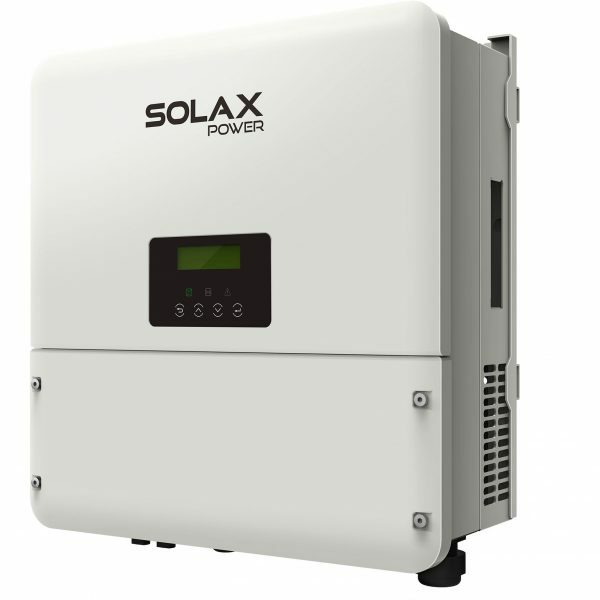 The Solax X1 Hybrid 5.0-T 1ph 5kW Solar Inverter is compatible with the leading lithium-ion battery solutions available on the market today making it the most popular energy storage solution. Solax Hybrid Inverter X1- Hybrid-5.0T Single phase, it is an excellent solar inverter that combines the production of solar panels with the electrical network. The solax hybrid inverter is a highly recommended option for self-consumption facilities as we can use the energy from the solar panels directly to our electrical installation. In addition, we can connect a 48V battery to store the surplus energy produced by the solar panels and thus not having to consume the minimum energy requirement of the conventional electricity grid. 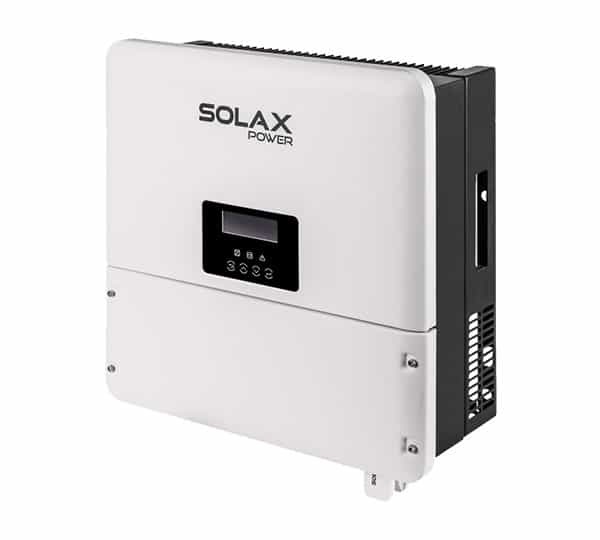 The Solax hybrid inverter combines network, direct energy from solar panels and batteries, a very efficient manager for self-consumption installations. Compatible with LG Chem RESU 7H/10H & BYD B-Box HV Lithium Battery. It is the best retail price in the UK and Ireland.